We have some stock size suits available but if you don't see the size you require we can usually have it available within a few days. Stock sizes come with pre-determined feet sizes. Small Medium size 7, Medium size 8, Medium Large size 9, Large size 10, Extra large 11/12. 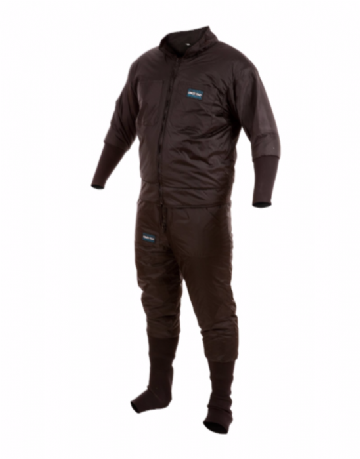 If we order from the factory we can get stock sized suits with different feet sizes eg Large with size 8 feet or Medium with size 10. It is far better to get a suit with the correct boot foot size. Designed to fit in the suit cuff it allows air to be vented from the suit by simply raising the arm. 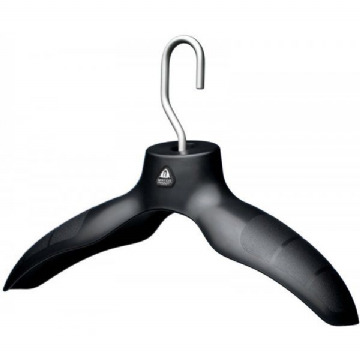 Designed to rotate 360 degrees for flexibility and to suit any divers equipment configuration. Backing patch for Apeks Auto Dump and Inflation Valve. 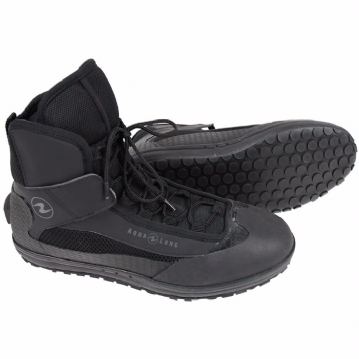 This has to be the ultimate rock boot and the ideal choice for wearing with any dive drysuit which comes with socks. The ideal bag for transporting your dry suit, which converts when fully open into a changing mat. 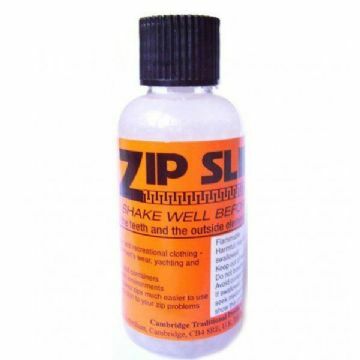 100% pure beeswax for lubrication of dry suit zips. 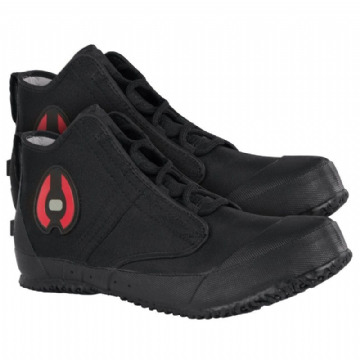 Designed for wearing over drysuit neoprene feet. 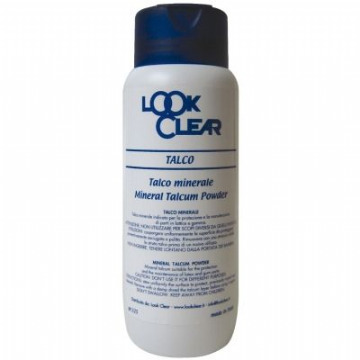 Pure mineral talc for use with latex seals. 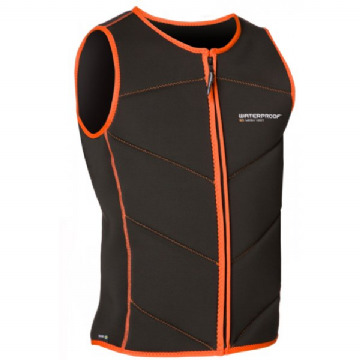 A great value for money undersuit suitable for most UK diving. High fit salopette trousers and a separate jacket. 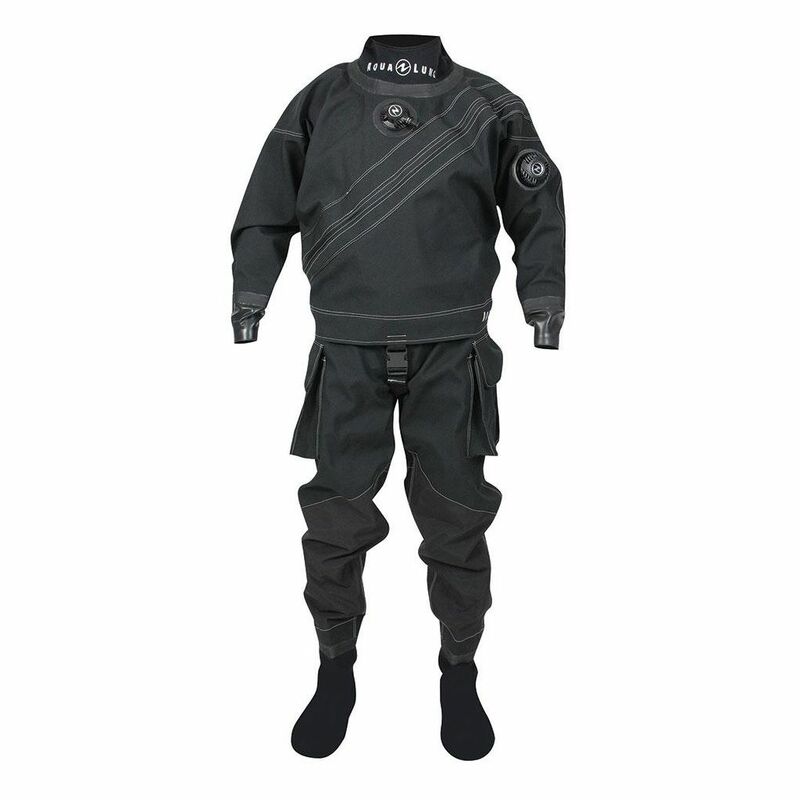 The Typhoon Discovery entry level tri-laminate diving dry suit. Two layers of warming fibers also provide extra comfort with their high wicking capabilities. 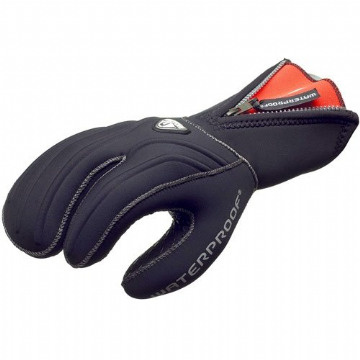 The 7mm Semi Dry Polar Evoluted Glove features a 3mm internal seal to keep your hands extra warm. 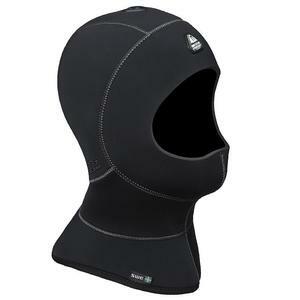 7mm double layered protection in critical heat loss areas and glideskin seals for the neck and face.